Hello everyone. 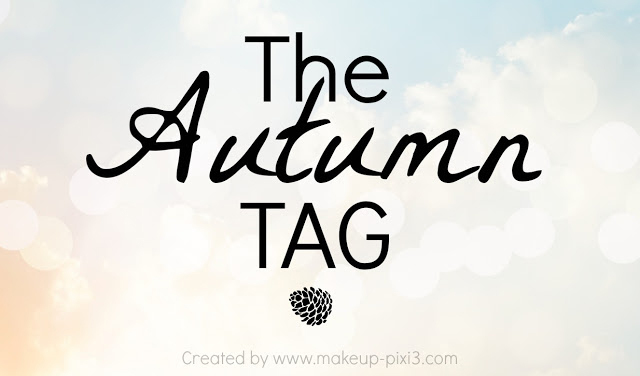 I'm going to be doing the autumn tag that was started by Georgina from Makeup-Pixi3 as the weather has taken a turn for the worst in Scotland at the moment and I definitely have the autumn feeling. 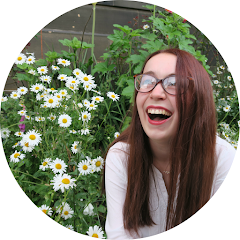 Fear not, it's actually my favourite season. I was tagged on Your Almost Alice and I also saw this tag on Ramblings Of A Beauty Bird and she was tagging everyone so I decided to do it. 1. Favourite thing about it? Probably just the changing colours and crisp autumn mornings. I love walking to school on a cold but not too cold morning wrapped up in a scarf and seeing all the orange leaves. Oh and Halloween, let's not forget about Halloween! 2. Favourite drink? I really love the chai tea lattes from Starbucks but I'm actually lactose intolerant so I know I really shouldn't have them. I also love hot chocolate but I normally just make that at home. With marshmallows - of course. 3. Favourite scent/candle? Last year I would have said my favourite candle was Mango and Peach Salsa from Yankee Candle but I've now burnt that all the way down so I'm not sure what I'll be burning this autumn. I love cinnamon scents but sometimes find them to be a bit over bearing. I think my go to perfume this season will be the Lady Gaga one. 4. Best lipstick? My two favourite lipsticks for a dark lip are Grace by No7 or Dubonnet from Mac. I've also been wearing Brick O La by Mac a lot as well recently so I'll probably get a lot of wear out of that as well! 5. Go to moisturiser? To be honest I don't really change my moisturiser depending on seasons, just whenever the one I'm using runs out. At the moment I'm using the No7 one for oily skin but I'm not really a big fan. 6. Go to colours for the eyes? I really love a gold all over the lid and then a purple/berry toned shadow in the crease with some thick winged eyeliner. 7. Favourite music or band/singer to listen to? I tend to stick to more acoustic music in the autumn but I don't really know why. 8. Favourite outfit to wear (i.e. boots & a scarf combo)? A pair of high waisted jeans, a plain tee, a checked shirt and some killer boots. Yes please. 9. Autumn treat? I normally buy myself a new pair of ankle boots at the start of every autumn. I think this year I'll buy a more 'sensible' pair but also a heeled pair. 10. Favourite place to be? In my bed with a hot drink and a good book! It's also going to be my first autumn with my new doggy and I'm sure I'll be loving the dog walks down the trail too. Like Sasha I'm not too bothered about tagging specific people so if you want to do this tag then consider yourself tagged. Please let me know if you do it because I'd love to read it.